Advanced creatine stack increasing strength, cell volume, and supporting the building of muscle mass! 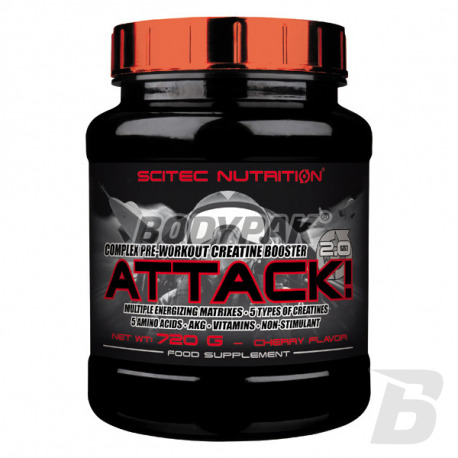 With nutrient creatine Scitec Attack! 2.0 used in bodybuilding and fitness you can work on your weight and muscle cells with unparalleled ferocity with the help ultrazaawansowanego formula to increase the volume of the cells and the secretion of nitric oxide. They await you unlimited workouts, strength, mass and energy. 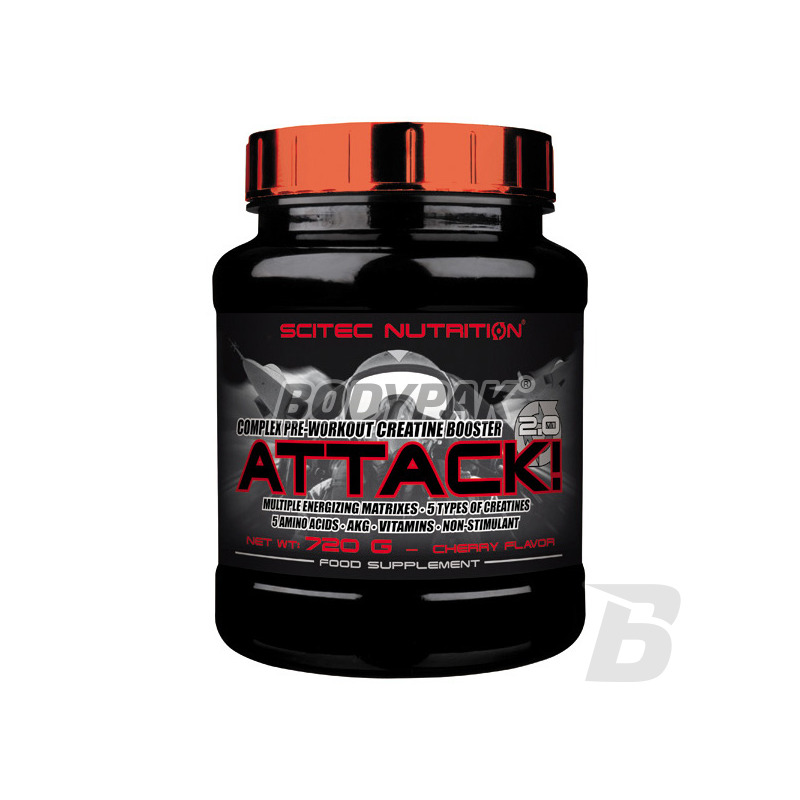 Supplement Scitec Attack! 2.0 contains a powerful blend of top 5 forms of creatine, arginine and other amino acids and nutrients that comprehensively support the body before and during intensive training. Accelerating the delivery of nutrients is guaranteed by accelerators synthesis of nitric oxide, which give you enhanced blood flow and also incredible pumps. Scitec Attack! 2.0 includes a heavy dose of additional amino acids, vitamins and energogennego intermediates of the Krebs cycle. Some of our key components have one or more of the following physiological effects *: - energogennych regulation of metabolism - Reduce fatigue - normalization of the synthesis of amino acids - the normalization of the nervous system - the normalization of the functioning of the immune system - the normalization of blood production - normalization of physiological functions. One serving 30 minutes before training and one serving immediately after training. 72 porcje w opakowaniu - bardzo ekonomicznie a działanie w porządku - polecam spróbować! The new edition of the legendary przedtreningówki! Excellent composition, which, despite its simplicity, is extremely effective and will help you get the coveted athletic figure! Accelerates the anabolic processes and provides an extra boost of energy (contains caffeine).